This is my very first water loop. and maybe my 4th or 5th PC build in my lifetime. Let me tell ya, 3 separate times I almost said screw this! You maybe asking yourself, why is this idiot spending all this money on x99 when x299 will soon be here? I too am asking why did I spend this money?!!! My original plan was to build an editing PC with gaming capability and was going to invest in the EVGA CLC quick release systems once they release. But I got impatient and went all out on EK. Speaking of which, EKWB is a great company, I love their customer service and I like the idea of their configurator..... Unfortunately with that in mind, I should have listened to Jayztwocents and should not have completely listened to their configurator all the way. More on that in a bit. I was originally going to choose the Strix x99 board, but after reading all the bad reviews on Newegg and Amazon, I decided to go with the Rampage V Edition 10 board. Its a very nice board, has RGB hook up, easy way to OC if you want, wifi, beautifully lit! I chose the 6850K because I read its really good with gaming while not having to spend $1000. I decided against Ryzen, because I've had bad experience with AMD in the past. I purchased the FE 1080 Ti SLI's when they first released and was originally going to put a hybrid cooler on them. 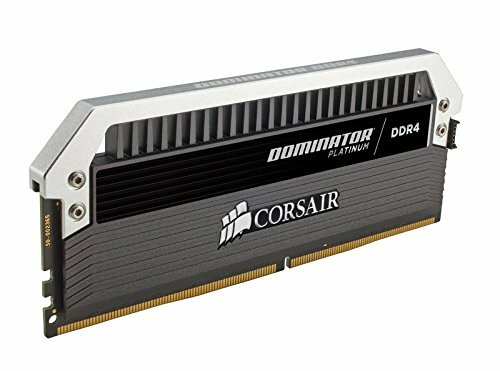 Originally was going to purchase Corsair Vengeance, but I've always wanted Dominators but was always away from budget. Not this time, I'm YOLOing as it is already so why not? I did ALLLOOOOOOOOT of contemplating which case I should buy. From the Corsair Crystal Series, to InWin's sleek design cases, and ended up choosing Phantek because it had the best blend of Modern Minimalist design but had the coolness of RGB and Temper Glass. Boooooy was I freaking wrong! The SuperNOVA is prolly overkill but its a carry over from my last system. For the watercooling loop, I went with all EKWB. From the rads, to the blocks, fittings, and even tubing were all from EK. I went with what EK's configurator recommended for this build, which was a 360PE and a 240PE rad and a D5 Revo pump. Lastly the EVGA CLC 280 was originally purchased because I was going to do a CLC loop with an EVGA Hybrid loop on the cards but it ended up the way in which you see now. Initially used it to brick test the mobo and base oc test it prior to installing the loop. It will either be packed back up and sold or it will go into a capture PC system (which is my old system). Realbench CPU 55-60c, GPUs 40-50c. The Phantek Enthoo Evolv ATX TG is a really beautiful case! Everything fits neatly together and is just enough space for what I needed in this build. Its really modular and has alot of compatibility for custom water looping. Its somewhat compact, I wouldn't say its actually compact, but its definitely alot smaller than the old case I had, Thermaltake GT, Yikes! Phantek sells some really nice RGB lighting accessories and it makes it very easy to install in the case and with the mobo. This case is absolutely horrid with rad airflow. I had to change out my 1800 RPM Varder fans for the 2200 rpm ones, (actually for asthetics, i didn't like the gray look, black definitely matched this build better.) But even with the 2200, I had to crank up the rpms on the mobo just to keep the temps down. Because of that, my PC is now louder than my air cooled PC. This defeats ALLLLLL THE MONEY I spent for a water loop!!! CPU temps idled at 37c while GPU's idled at 32-35c. Under load CPU peaked at 70c while GPU's peaked at around 65-70c. Let me ask you if this is acceptable for you if you spent this kind of money? I also have to point out that while temps went back down to around 44c after load was done, it took 20+ min for temps to get back down to idle. Also because of the case retaining heat so well, it clouded up all of my soft tubing!!! I was seriously (actually still am) thinking of spending even more money to split the loop, separating the CPU and GPU because of how hot they run inside the case. Before giving up on this entire build, I decided to do tests with both the top and front cover off. All the temps went down to acceptable numbers, still a little high but its manageable for now.. I read that x99 chips and the 1080 ti/ titan x pascal cards ran hot, but come on give me a break?!! And if I am to expect that keeping the temps down means keeping the covers off of this case, then it defeats the purpose of having this case. Its not beautiful anymore. Its functional, but ugly! Therefore I cannot recommend this case to anyone wanting to build a very similar system. The second con with this case is it doesn't support E-ATX. Well at least it doesn't fit the Rampage V edition 10 without modding. The Board comes with a nice backlit LED but unfortunately the case has a slight ramp that prevents the board to sit flat with the back light led installed. So I had to do without the LED. So, if you are considering the Phantek Enthoo Evolv ATX case and want to loop an x99 chip and any card above a 1080, please consider looking elsewhere. Don't get me wrong, its such a beautiful case, and the airflow for air cooling is great, but you'll rip your hair out trying to water cool these particular components being limited with a 360 and 240 rad space.. I cannot recommend this case for watercooling an x99 chip. At least on a single loop. Please enjoy the abstract pictures, though I might have over done them. They were taken from the video build that will be posted at a later date. Can we say," OBSESS MUCH?!" OAF Canon 7D with Sigma 20mm, Yongnuo 35mm & 50mm lens. ohhh my god. Couldn't even last a day, ha! I know the feeling. You spend so much effort trying to get your build right because you have a vision in your mind. Hours of research, Hours of window shopping, Hours of waiting on parts to be acquired, and then you finally start building! only to realize you build it and could have did things different. well hang in there till you get it how you want. good build! Such a shame that you spent that much in that CPU + Mobo with better options now at days. Fantastic. Beautiful. Amazing and all the adjectives for you sir! ... Eric Northman would be proud. Pictures are superb. +100 if I could. "I also have to point out that while temps went back down to around 44c after load was done, it took 20+ min for temps to get back down to idle." Thats normal, welcome to liquid cooling brah.. Many youtuber explained this, say.. :SalazarStudio. Hmm, I wonder if there is an air build that is designed to be oc'd and absolutely quiet.. I'd be interested in that. If you really want to go for completely silent. Oh man, maybe they can mod the top as well!!!!!! I would so buy them! unfortunately Mnpctech making custom replacement top panel isn't possible due to the complexity of the design. Took mine a few weeks to come in, but this weekend or so I'll be installing it. I agree, next build will definitely upgrade to rigid tubing! hell yeah! looking forward for that. that red true blood coolant would be more awesome if it in hard tube it will pop up more! I completely agree. My next step will probably be replacing the soft tubing. Yuck, no more! WOW! This build is amazing!!! I love it!!! 1+! this is gonna be the new Featured Build!!! I`m just gonna call it! This will be the feature! Looks very nice. I've never done any water cooling or used an AIO before, however, I think your temps could be an issue in that case, because of the front radiator, Id imagine it's intaking hot air due to the front radiator, then that hot air is being exhausted through the top radiator, thus the top radiator is trying to cool itself with hot air. I wonder whether you could try removing the front radiator, and just use two intake case fans and simply run the loop through the top radiator, that way it can intake cool air, and exhaust it through the main radiator at the top of the case? Also, normally I would have balked a little with the idea of purple coolant, but you have done a fantastic job with it and it looks excellent. I now prefer that color over all the other coolant colors I have seen in these builds (Judging by other pics, I think you may have been aiming for red, but whatever you were aiming for, it looks excellent just the color it turned out). Not sure about the cables, picture 4 they look like a red stripe, picture 6 they look purple, I much prefer the look of the purple ones. I might have over done alot of stuff. Definitely overdone the pictures, I had some kind of obsession :P.
The colors are a little messed up, the pictures are definitely off but I tried to color correct them to be more accurate instead I think I again, over done the color correcting. I'm actually going to try to make the front exhaust and the rear fan intake and see what happens, but most likely the high temps are because of the covers. The front are intakes because Jayztwocents convinced me that its okay to run it that way. does your PC make out with other dude's girlfriends at the club? +1, really great choice of colors. This has to be featured. Absolute beautiful looking beast. CONGRATULATIONS. Dear God in Holy Computer Heaven this build is the Lamborghini of Builds!!!!!! Amazing Work!!!!!!! Just for fun, you should buy 9 10TB drives to fill up those SATA ports. This thing is a beauty and It will probably be able to run games for 15 years before an upgrade is necessary. Where did you get those custom cables for your PC I'm really curious because I'm wanting some custom cables for my first PC. Its overseas but these guys are awesome, custom lengths so you can make your management nice and neat!! x299 i9 cpu upgrade coming soon? ...maybe? This has to be the nicest build I have ever seen. Did it get a feature? Personally I have seen no other build that I like better than this one. Aww dang my emoticons wont show here. I had a silly smiley face with that ouch. I love seeing a build with nothing but high quality, artistic photos! Great job! By far one of the cleanest builds! Definitely DO NOT try to delid your 6850K! Unlike the consumer chips (6700k, 7700k) the enthusiast chips are soldered and will must likely break! (Except Skylake X and Kabylake X, they are the first enthusiast chips that use TIM like the consumer chips. Way to cheap out Intel). As far as your temps go, that does seem high for such a magnificent custom loop :(. I have a 5930K in a high air flow case cooled by a NH-D14 and our temps are not far from each other (OC @ 4.4 1.225v). But man this thing looks stunning! Super clean build, totally deserved the feature! "his is gonna be the new Featured Build!!! I`m just gonna call it! This will be the feature!" Me 3 days ago! congratulations! well done !! congrats on the feature, the build looks fantastic !!! Definitely amazing rig. Dope concept and I love the glamour shots. Plenty of photos, great documentation of the whole thing. Tight work dude. My god, it's so CLEAN! What a pro. Yeah, I'd like to try a slim 360 rad for the top and put the PE on the front. Thanks for the advice! Maybe, it definitely looks good, but it gets cloudy too fast. Been testing long period benchmarks of heaven and superposition. CPU, and GPU temps stay around 50c after an hour. Mind you this is with the top, front covers and glass off. I'll be honest, I don't like the "look" of the photos (are you using a filter?). Why did you go for an EATX board? Have you looked into different fans for your radiators? Has push/pull come across your mind for reducing fan noise? I actually didn't realize it was an eatx board until I got it in the mail. figured why not try to fit it before returning it. I liked it so much I decided to stick with it since it worked out in the end. I don't think I could have done a push pull with the remaining space. Maybe the front though. These pics are amazing, congrats! ha my pics aren't that good... right? Super nice clean build! Love the description as well. Also for rendering purposes I may in the future get 4 1080ti, water cooled, do you think they would fit in with cooling, there doesn't seem to be much clearance between the power supply case and where a 4th card would go? Obviously a bigger case would solve all this but the Evolv looks peng. The rampage v edition 10 mobo has a rear RGB component in the back. I simply unscrewed, unplugged it to fit the case. 3 way maybe, but not a 4 way sli. Not enough space i dont think, youd definitely have to block them up with something like EK to make em single slot. Beauty and the Beast :) For a comparison of the water-build you have I've done a build in the same case, but on air. My build runs around 50 degrees Cpu and Gpu when not gaming hard on it, and 70 on both when gaming hard. When not gmaing hard the computer is completely silent even when you put your ear all up to the case, while at hard gaming you certainly hear the build, yet a lot more quiet than any previous pc I've built. I'm not well schooled in water cooling, but air is still used to cool the rads, and wont the reservoir block much of any potentional airflow-path? At least for my air-cooled build the main objective was to keep a good airflow between intake/outtake that would pass the heating components. Was just thinking maybe the airflow is the hinderance since you said removing top and front cover made a big impact, sounds like it's the air that is the bottleneck, and not the waterloop part? Very good job on the build. Oh and mind that my build is a 7700K non-overclocked running two 1080Ti's - so my total heat production will be smaller than yours.. This is a beautiful build, and the description was really educational. This has got to be one of the most clean, beautiful computers I have ever seen. I mean this. Nice work man! i love the pc and i love the work put in but seriously man, the reason to not pick ryzen is kinda stupid, you have 90% of reviewers saying its amazing and cheaper but you didn't pick it cause of past experiences,come on man. Saying its cause the motherboards are not as cool or cause they didnt have a feature you wanted would have been a way better reason. That being said im no AMD fanboy, im fairly indifferent about this stuff, every company comes out with crap, AMD has made bad processors and so has intel, Nvidia used to make GPUs so hot they have broken from the heat alone. Like I said, its because I've had bad experiences in the past with AMD. Its like being traumatized into a fear of flying after having a near death experience. It just was not my thing. But maybe if I do another build, I'll go AMD. Great build love the effort put in but remove those red cables on the custom sleeves they ruin it. Why'd my original comment get deleted :/? it didn't get deleted, i accidentally deleted the actual build. I had to create another one. oh wait, wow lots of comments were deleted on this one.. hmm why? Prolly better off this way, might have ended up bad..
That's exactly what we have here! My jaw dropped when I saw the first picture and stayed in that position as I looked at all the pictures. This is by far my favorite computer I have seen on here in about a year. It is just so professional and makes you want to stare at it for hours!!! Mate, do the cpu delid, it's really not all that difficult and supremely worth it. I've done 3 so far, all successful with the Rockit 88 tool and Liquid Ultra TIM. My i7-6700k reaches max temps of 67C (a single core max temp) @ 4.7ghz, 1.376v at full load (4hr Realbench stress test). The delid has given me a repeatable and consistent temp drop of 19C. Which is just unreal. The terrible TIM Intel puts on the CPU is a real shame. REAL shame. I still can't believe it, to be honest. P.-S. 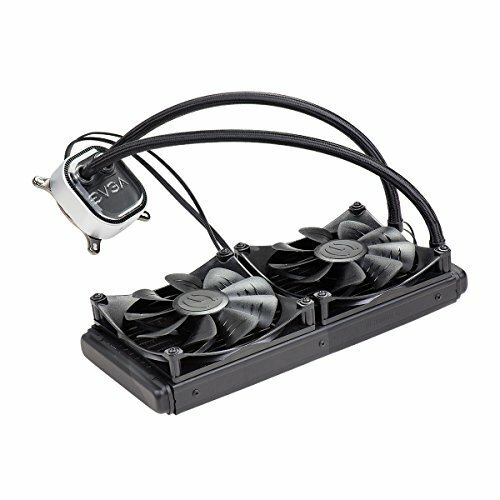 I'm using Corsair's H100i v2 AIO to cool my i7. Wow, I just noticed that my build is featured. I'm truly honored guys. Thank you very much, I'm very grateful for the support. Nice clean build. That is a great case and many of my friends have it. They ended up buying a separate fan controller so they could set the fan curve. I have the Corsair 780T case and it amazing. So much room and it was made specifically for air flow. I have a water cooled CPU and 3 additional 1400mm fans that take care of the rest. I have no need for water cooled as the fans do if not a better job that water cooled keeping everything cool. Noise is not an issue for me as I wear headphones. But when my fans are at 100% spinning at 2000 RPM, they are loud. But I couldn't be happier. Again nice build and look clean. Sweet baby jesus this looks amazing! 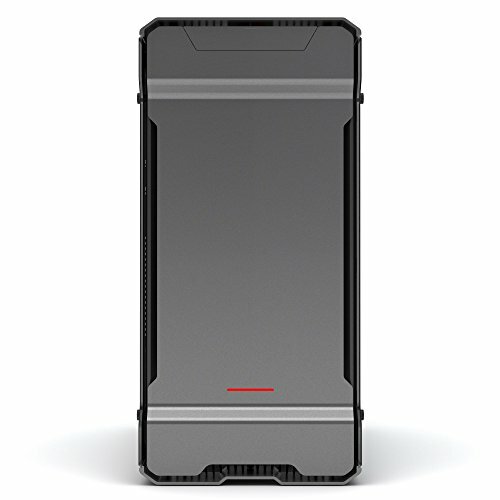 Is this case gunmetal or black? Just wondering if you could go into greater detail on how you were able to make the board fit. I'm looking at getting the board myself. 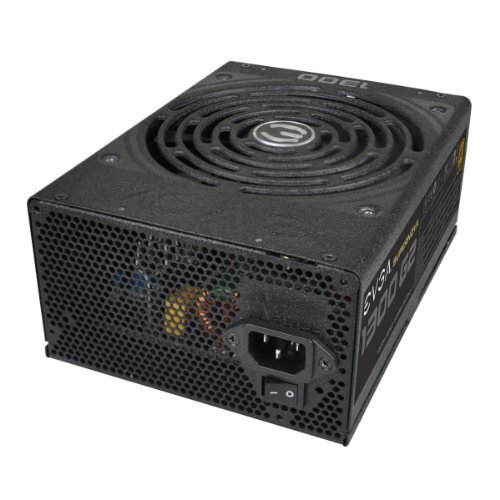 Is the LED on the back made to be removed and replaced whenever you choose to? I sent you a PM as well. Thanks! Hi, sorry for the delay. Yes the LED on the back can be put back on. Its just a few screws a ribbon cable. totally easy to put back on. If you are doing a custom loop with cpu and sli gpu's then no I don't recommend this case for water cooling. But if you are going with a closed cpu loop and gpu's seperate then it should be fine. I'm having good temps now but thats without the glass, top and front covers. With them back on the temps raise to 10-15 c hotter. So... no sli, but cpu and gpu watercooled should be fine? 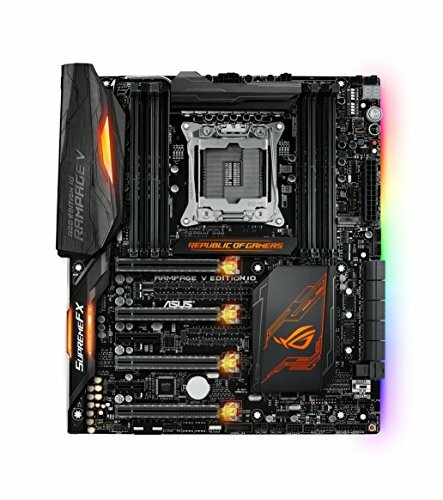 Judging by the build I linked it should be fine with all panels on? yes, looking at the link, it should be fine. I'm new to the i9 but i doubt it will get any hotter than the 6850k. I have a question: Your parts list says your using a 1080 ti FE... why does it not look like it? Hi Luk3, I have EK waterblocks on them. How did you mount res? I'm also not worthy of his gorgeous builds and photographs. Hello, I really liked your build https://pcpartpicker.com/b/468Ycf , but I have one question - how did you install EK-XRES 140 Revo D5 ? Thank You. I had to modify the case a little by making custom screw holes in the back. Using the Phanteks included reservoir mount, I was able to mod the Revo D5 onto the case. Beautiful build +10 . One thing I have to say , the water is going to boil in front of that radiator . I know there is no other place to put it but expect it to be hot after 10 min of gaming and the longer you use under heavy load the worse it gets . I love the look of EK but the down side of their fittings is the tiny O-rings that don't like the heat at all . They should make them little thicker . I had a setup just like yours with same rads , pump , blocks and have to change cause of temps get little high . The water get so hot in the res right after being cooled in the rad so I had to take the front panel of the pc and then is better lol . Hot air out of the front rad is blowing right on the res cause there is no place to go out . Anyway You did really great job man , looks amazing . Oo, thats not good. You really got me worried now. For now I'll have to keep an eye on the water temp and feel the res and fittings towards the front. Luckily when I delid the 8700K, I'm going to install a temperature plug at the res so hopefully that will help me keep an eye on things. Thanks for the heads up man, I really appreciate it! DOH!!! Sorries, I didn't realize this was mean't for TruBlood 1.0. If it was, then yes I did notice the water being really warm. But this build is sadly no more, its been turned into a gaming capture rig, paired with an ole 980 TI. It will be cooled by an Kraken x72, when ever that happens. You were referring to the 6850K build correct? Actually this comment was intent for your new build . I just clicked on the link and commented on the old build by mistake lol . Sorry , didn't mean to ruin your parade , your build is stunning really . Solid choice of parts just like mine , you can check my ROG build it looks very similar to yours . And I had to take it apart because that front rad was just over heating that water in the reservoir . I hope it wont happen to you but you have the same case . No, definitely thank you for the heads up, I really appreciate it. Better to know a possible issue now, and fix it then to have it happen down the road and be a much worse situation. I am checking out your build right after I type this. Thanks! hey, just wondering how you managed to fir the motherboard in the case. i have the same hardware but for some reason it wont fit propperly.. i removed the led pannel and rubber gromits of the case. but still it touches the contacts on the back of the motherboard. electrical tape? Yeah I agree, but I didn't have any pastel green. Thanks, but even after all that planning, I still screwed up. and spent more money than I should have. Lessons have definitely been learned. ha! Lesson is never learned because there is always new stuff coming out and we are blind when we see it lol .